Tiffany received her RN from the College of Eastern Utah and has experience in various settings such as the hospital Medical/Surgical and Emergency Departments, Hospice Care and Home Care. 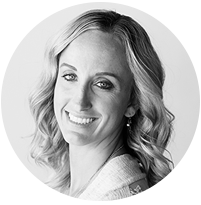 She received her Bachelor’s degree in Nursing in 2012 and graduated from the University of Utah in 2017 with her Doctorate of Nursing Practice and is a board certified Family Nurse Practitioner. Tiffany was born and raised in Carbon County and married her high school sweetheart. She has 2 children and enjoys running, volleyball, cycling and family time. She is excited to continue to serve patients in her local community.